A few weeks ago, I was approached by a great friend and client, Danielle West of MovieMe. As we spoke over the phone, she informed me that she was doing a project for six mothers at Kings Ridge Christian School in Alpharetta. The project was a graduation video for six very close friends and she was looking for a way to personalize the delivery of the DVDs outside of her standard approach (which is still very unique, itself). 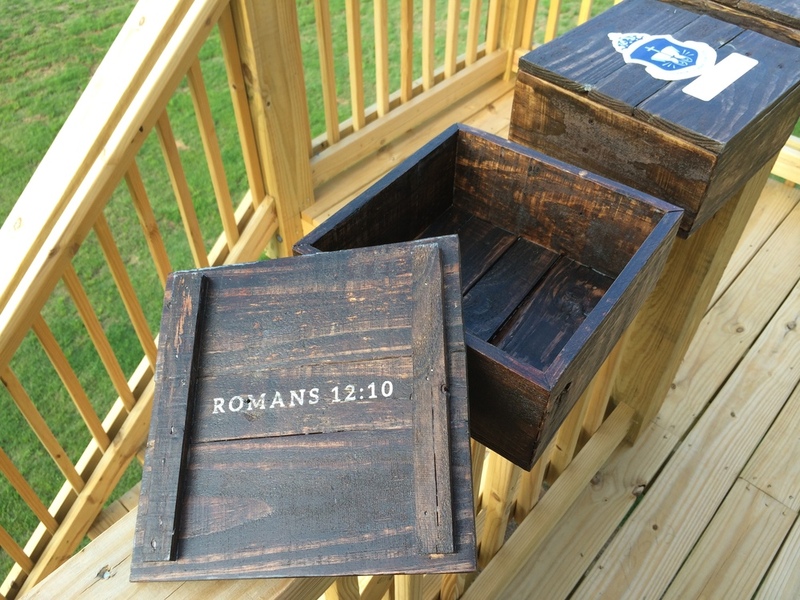 Danielle knew of my capabilities in making art and decor out of reclaimed wood and asked if I'd be interested in making boxes for the graduates. After gathering some requirements and discussing the project in further detail, Danielle proceeded to name off some of the mothers that these would be done for. It was when I heard the name "Julie" that I gained further intrigue about who this was for. I mentioned immediately to Danielle, "Hmm... that's funny, my sister-in-law's name is Julie and her son is graduating." Without hesitation, Danielle quickly asks, "Does she have a son named Cliff?". My jaw hit the floor. What a small world... Here I am quoting out a project for a client only to find that same project is actually being done for my nephew and his 5 closest friends. Now, I could have slapped some nice boxes together, not sanded and stain / poly-free but with this knowledge, it was now personal. 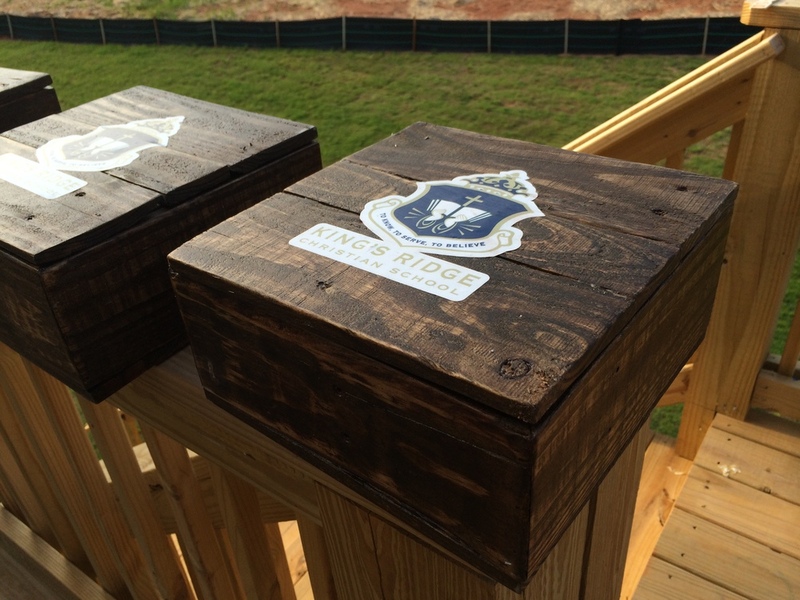 As you can imagine, I attended the graduation party in Alpharetta and was able to see the six boxes on display for the graduates, just below a screen showing the movie that was packaged inside of them. The boxes were a great conversation piece for the party and the look on my sister-in-law's face when she found out I was behind them was priceless. A big thanks to Danielle West of MovieMe for the opportunity and congrats to all of the graduates!